It’s true what they say about the French, they truly do “live to eat” rather than “eat to live”! The evidence? Well let’s start with the fact that here, the two-hour lunch still exists and indeed can often stretch it to three or more hours (work ceases, shops close and a leisurely lunch is a birthright for all). Sunday lunch can take up most of the day when you start to factor in the “aperitifs”, the chat, the multitude of courses, the cheeses, desserts, more chat, “digestifs” and a long discussion about the best way to avoid the gendarmes on the way home (this does not apply in a motorhome because you simply stay wherever you are for the night)! The average French person will spend a lot more time thinking and planning their meals than the rest of us, simply due to the inspirational nature of the high quality ingredients available and an inherited commitment to eating well. Nowhere is this more apparent than in their celebration of food and wine which appears to be never ending with a multitude of events throughout the country. Events to celebrate gastronomy vary from the weird and wonderful to the highly sophisticated and it seems that practically every village holds an annual “Fête” where everyone is welcome to taste, eat, join in the fun and celebrate local gastronomic treasures. The following is a little round up of some of these celebrations but of course there are so many we could never cover them all so to delve further, check out the regional tourist boards. As you’d expect, France seems to be the food festival capital of Europe with fairs and festivals galore associated with almost every food you can think of – garlic, cheese, cherries, honey, sea urchins, snails – even fried fish; whatever the food, it’s sure to have a festival somewhere! Along with the particular food and other regional produce, there are usually colourful parades, music and artisan crafts on offer, and larger festivals also feature exhibitions and markets. The summer food festivals include the Carrot Festival in the small town of Créances in Normandy, when the local farming community celebrates with a market, food stalls and music. Carnivores will enjoy the Fête du Charolais in Saulieu, Burgundy, a three-day festival of all that is great about beef. 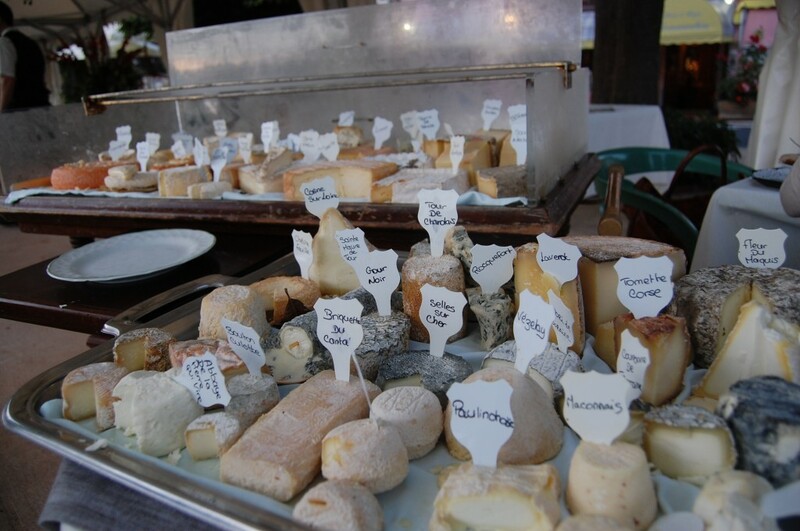 For cheese visit the biggest cheese festival in southern France, the Fête de Fromage in Rocamadour, in May or simply settle upon your favourite French cheese and search for the relevant festival (e.g. 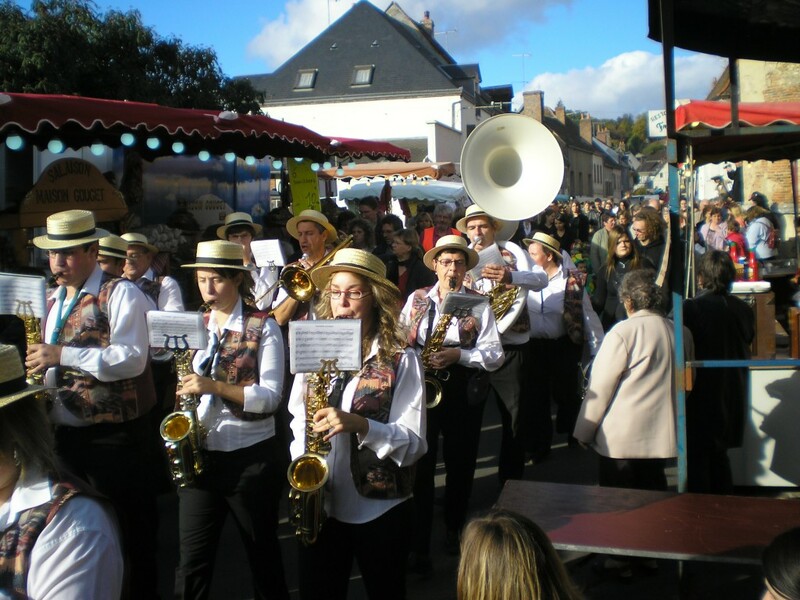 the Festival of Brie in Melun in early October). If seafood is more to your taste, don’t miss the Fête des Huitres (Oyster Festival) in Bouzigues in the Hérault, which is famous for its splendid oysters. Anyone with a sweet tooth will enjoy the Fête du Sucree in Erstein, Alsace, where sugar in all its forms is celebrated with scrumptious cakes and desserts. Since 1987 the Truffle Festival in Tricastin, near Valençay has been on a crusade to demystify the marvellous mushrooms we call Black Truffles. The astounding price per kilo prevents most people from experiencing this delight, but in fact most dishes only require 8 to 10 grams of truffle. Visitors to Tricast on the second Sunday of February can avail of a fixed-price menu which will cost you just €27. Now that’s something we can all sink our teeth into. 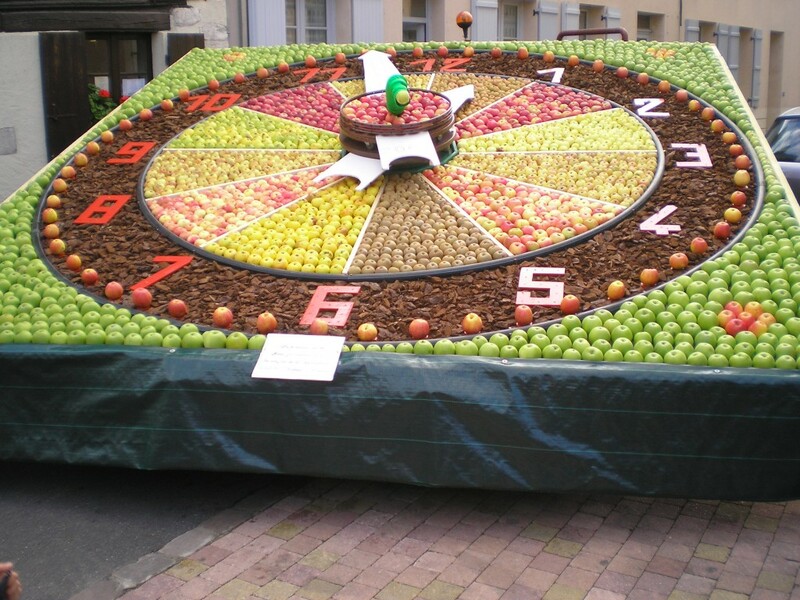 Not content with regional and local events, France even has a national food festival! The Fête de la Gastronomie takes place over a weekend in late September when over 3,000 gourmet events take place from cooking truffle omelettes on the steps of a cathedral to a candle lit pic-nic in a chateau vineyard. A vast number of restaurants participate too, offering special tasting menus, open kitchen visits and cooking demonstrations all over the country. Again, there are so many wine festivals in France it’s hard to know which ones to mention and the best source of information is the tourism board for the wine region you plan to visit but here are some examples. The usual form is to purchase an engraved wineglass as you enter the event for about €5 (which acts as a sort of informal event pass and souvenir) then taste all the wines for free (bearing in mind some events have over 100 wines to taste, you might need to pace yourself!). The annual Fête de la Pressée or Wine Press Festival, celebrates more than six centuries of wine making in the region, and that includes red, rosé, sparkling, and white wines. There are also traditional arts and crafts, jazz, educational films and tours of wine presses. Local treats such as smoked sausage, grilled port and Burgundy snails fill your mouth between sips of wine. 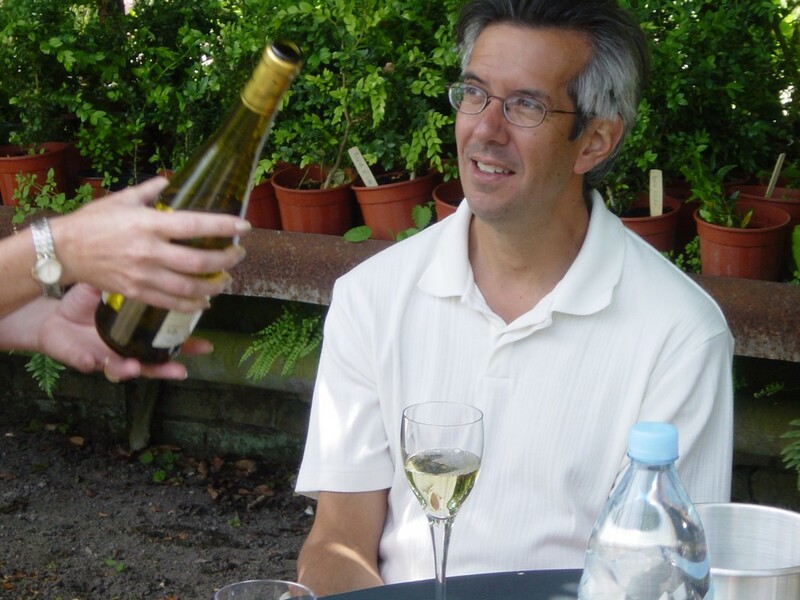 The Chablis wine festival celebrates the wine of Chablis and surrounding villages. It take’s place in October in the pretty wine making village of Chablis. A visit to this charming village is a delight at any time but especially during the Festival with a host of events to satisfy the thirsty traveller. At the stroke of midnight on the third Thursday of every November, France erupts in massive celebration in honour of the unveiling (or should we say uncorking) of the Beaujolais Nouveau wine. Beaujolais Nouveau, which is a young wine (only 6 weeks old), comes from a region south of Burgundy in France. The arrival of the new Beaujolais is warmly welcomed in France. All over the country, grand traditions have developed in honour of the release of the Beaujolais, with the biggest festival taking place in Beaujeu, the historic capital of the Beaujolais region. After the grand midnights unveiling the huge barrels are opened to much fanfare and party-goers indulge in the new wine for the festival’s 3 day duration. In Paris, restaurants and bistros host Beaujolais Nouveau parties, staying open through the night and uncorking hundreds of bottles after midnight. Wherever you may be travelling in France, this is a great night to celebrate life, wine, and a grand French tradition. 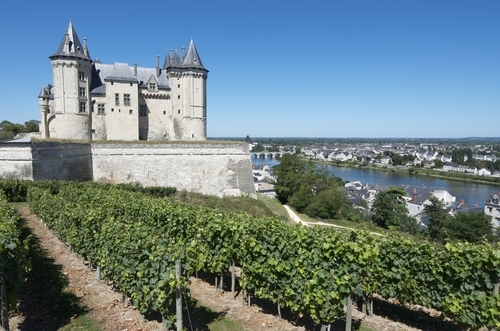 In the heart of chateaux country in May, a hundred wine growers from Touraine leave the hillsides of both banks of the Loire to converge under a tree canopy in the heart of downtown Tours for the Vitiloire festival. In August the little town of Vouvray is host to one of the more unusual wine festivals where forty wine makers gather in an enormous troglodyte cave! Sancerre is not only host to arguably the Loire Valley’s top wine, they also know how to put on a great event and the Sancerre Wine Festival in June is very big celebration of wine. The biggest of the region’s festivals is held in late June/early July in the city of Bordeaux. It’s a huge event spanning 12 acres along the banks of the city’s stunning Garonne river. The famous wines of Bordeaux are represented along with other local wine producers and all manner of interesting cultural and gastronomic attractions. In early August, the famous village of Châteauneuf-du-Pape is transformed into a medieval village for the annual wine festival. You can wander and taste at will or join one of the guided cellar tours, tasting as you go. Medieval music, street performers and even a medieval market all enhance the nostalgic atmosphere. Sleepy Menton bursts into a riot of colour for this huge citrus-scented celebration. 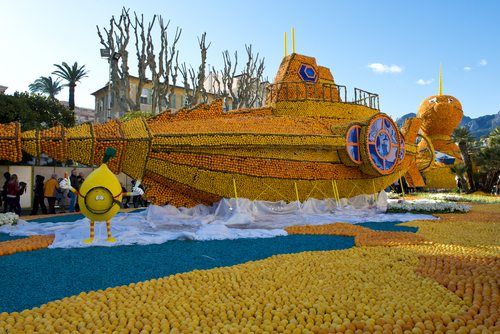 Get your fix of vitamin C as you admire huge constructions made of fruit. France’s lemon capital is also the city with the highest average age in France – its balmy climate making it the ideal retirement haven – but the spirit is resolutely young at heart when the lemon harvest is celebrated each February. Fruity floats depicting everything from Buddha’s to coconut groves parade through the streets every Sunday during the festival, while after dark the Promenade du Soleil on the seafront transforms into a carnival for the Corsos Nocturnes. Don’t miss a tour of the Jardins de Lumière after dark for a spellbinding, moonlit perspective. The world’s foremost pig festival event is ready to welcome you in the lovely mountainous French region of the Hautes-Pyrennees! Ask for something bizarre and you have it here: people dressed as pigs, pork-sausage contest, black pudding eating competition, a piglet race, or the national pig imitation competition. Funnily enough, among these crazy and fun events, there is also a fancy dress competition as well as wine drinking events. If you are up for something different, extreme, and immensely fun, you must try this! These days all the excitement is about creating new and bigger fruits and vegetables through Frankenstein-like agricultural experiments, but if you’re looking for some new tastes why not travel back to 17th century and discover the tastes of the Festival of Forgotten Fruits and Vegetables (Fete des Fruits et Légumes Oubliés). It takes place at the magical Château de Saint-Jean-de-Beauregard, a palace nestled into the suburbs about 30 kilometres from Paris. It’s a beautiful, educational walk back in time. On the Normandy coast in the stunning town of Honfleur the annual “Fête de la Crevette” takes place in September. Get your hands dirty by joining in the shrimp peeling competitions; explore the ancient fishing vessels moored along the banks of the old harbour; enjoy seafood cooking demonstrations and sample a variety of shrimp-themed dishes to the tune of local musicians. Be sure to try the famous ‘little gray’ shrimps, too – a regional favorite. Needless to say we think the best way to attend food and wine festivals in a motorhome or campervan. Gluttony is much more enjoyable when you have your own bed on site to sleep it off in! If by some fluke you don’t manage to bump into a food or wine festival during your visit to France, don’t worry, the opportunities to savour and celebrate cuisine are everywhere. Visit our webpage about regional French cuisines for inspiration. ← I Love Paris…at any time!